I was recently given the opportunity to try out and review a really neat product. I like it for several reasons. 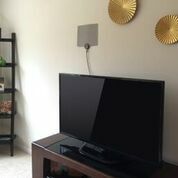 It's ReLeaf Indoor HDTV Antenna. I know I have spent a lot of money on cable and satellite bills and now I find out that I can get these network channels for free within 30 miles of broadcasting towers. This antenna is made from recycled materials and is a green product, all the way to the packaging. I really like that, it saves money and it's good for the environment. 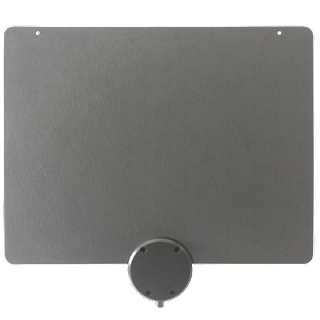 The flat portion of the antenna which covers the inner foil that catches the broadcast TV waves is made of plastic, post-consumer recycled paper from a North Carolina paper supplier that met the highest number of eco-friendly certifications. The paper used is FSC Certified, Green-e Certified, Green Seal Certified, and Carbon Neutral Plus Certified. Each antenna is "sandwiched" between a clamshell that transmits and translates TV wave signals into live TV for viewers. Each clamshell is made 100% from recycled plastic of cable set-top boxes.Plastic from cable set-top boxes is ground into "MoHu Grind" and melted down and shot into injection molds that forms the clamshell shape for the antenna. Each pound of plastic can make 40 antenna clamshells. The adhesive used to sandwich the antenna to the clamshell is made of natural rubber-based that are free of solvents. Even the packaging for consumers is 100% recycled paper box and ink from post consumer colors that are Processed Chlorine Free (PCF). This product is a win/win, save money and it's good for the environment. Sounds like a great deal. I looked in my area and there is only like 4 channels I could get.